Our design process takes place in our Los Angeles studio where we execute a step-by-step plan to bring a watch concept to reality. We start by picking a style of watch we want to create and proceed with paper sketches and digital renderings. Once 2D renderings are finalized, they are developed into technical drawings via computer-aided design (CAD). Before moving on to the prototyping phase, we print 3D models of the watch to confirm case dimensions and wearability. All watch components are inspected individually before assembly. Our team filters out and corrects any component that has any aesthetic or mechanical defects. Components such as sapphire crystals are inspected for scratches on the AR coating, hands and dials for blemishes and marks, cases for uneven finishing, bezel inserts for cracks and imperfections, lume for inconsistent and uneven application, and movements for performance irregularities. 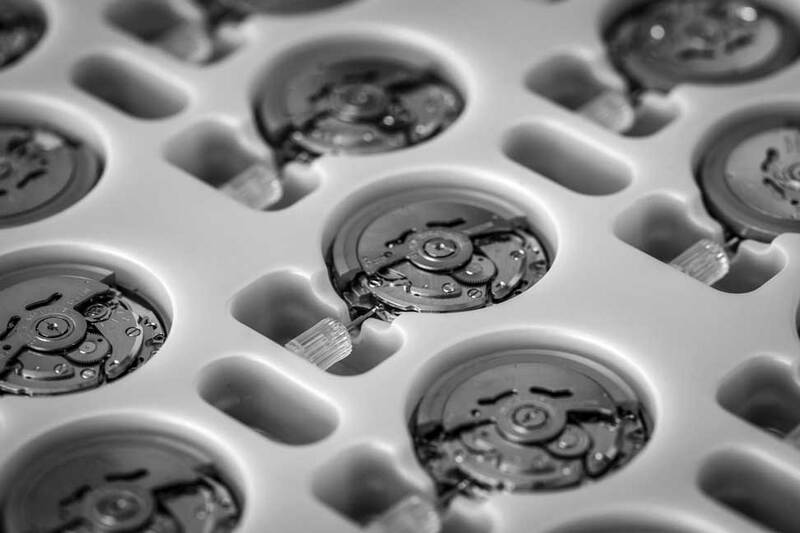 Our watches are proudly assembled in Los Angeles, California. In the early stages of Nodus, we found many pervasive issues with outsourced-assembly and therefore chose to bring the assembly process back home. By having the assembly process take place in America, we can ensure that our watches can consistently meet our strict standards for quality. We regulate all of our movements to four positions to ensure that they can accurately keep time under any circumstance. All of our watches are held to a strict accuracy standard before leaving our workshop. Before the regulation process, we stress-test all movements for a minimum of 10 days in order to break them in and eliminate any movements that exhibit problems or poor performance. Any movement that cannot be regulated to our standards will not pass our quality control and therefore will not be used.